When you make a commitment to live mindfully and shop with quality, longevity and multi-function in mind, sometimes the cost can (rightfully) creep up there. If your budget allows, gifting one of these incredible items is sure to make the recipient ecstatic. We all may have different definitions of “luxury” (I even have different opinions depending on the situation), but here are my current ideas for higher-end gifts to inspire and delight! Some might think luxury labels hawk ‘Made in America’ and other qualities (eco-friendly or ethically-sourced, for example) as a marketing ploy, but it may also be a convenient way to avoid the potential PR disasters of overseas production. Whatever the reason, I am glad that more attention is being paid to manufacturing and the pitfalls of the disposable product culture prevalent in America and many other countries. I tried to pull together a group of products that are unique, high-quality, ethically sourced and produced, and healthy for the environment and you. Warm, soft, totally classic. What’s not to love? Citizen Cashmere is transparent about their practices from the treatment of their employees to the treatment of their cashmere goats. While some people wouldn’t be comfortable even with these practices, the fact is that if you are looking for luxury and usefulness, cashmere is at the top of the list. This time of year I turn in to Linus and carry cozy throws around with me everywhere I go. 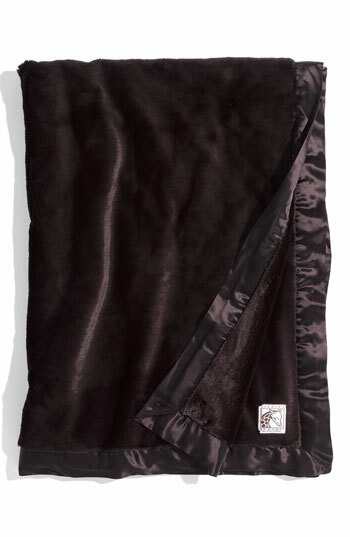 Blankets like this one serve as elegant home décor, warmth on chilly nights and extra bedding for holiday visitors. According to Nordstrom, this stunning Giraffe at Home throw is made in America. (Other good ideas for throws: Maine wool blanket, Amana cotton throw, Bluebird Blanket throw). 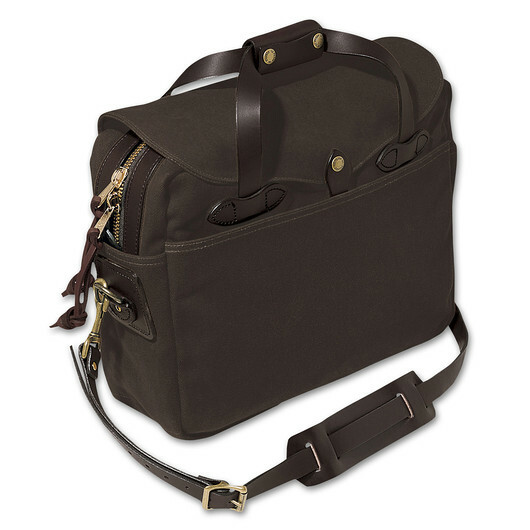 This briefcase is rugged yet refined. My husband is super tough on everything he owns and his Filson gear looks just as good now as the day he got it. Carried by the most stylish men (and women) for good reason. Filson products are made in America and they are committed to lots of good stuff including conservation, and protecting rivers and wildlife. 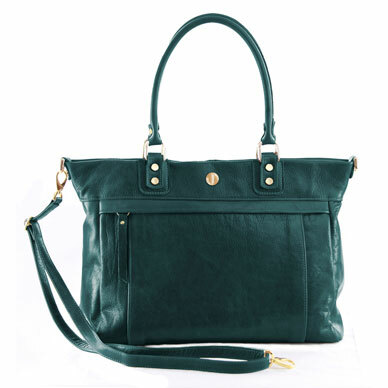 Corrente Handbag, $395 (sale price). I’m always on the lookout for products that can be worn everyday or special occasions. 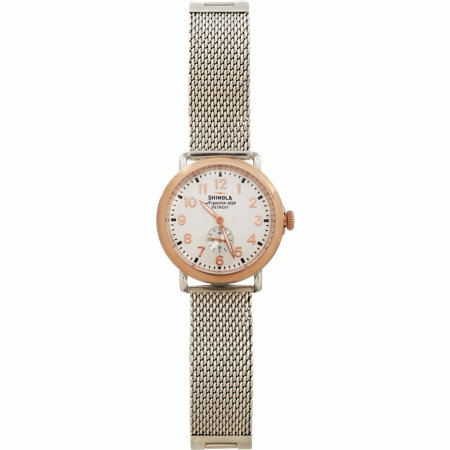 This gorgeous watch would look equally at home on her wrist while running errands, during a big work presentation, or out to dinner. Shinola watches are one of the last companies to make their time pieces in America – Detroit, to be exact. However, some pieces are imported from the best watch makers in the world – the Swiss. Red Flower Candle Set, $65. Candles can be a ho-hum gift but in this case, it’s a ho-ly-cow-this-is-awesome gift. See what I did there? (Well, at least I make myself laugh.) Red Flower products are organic, healthy for you and the environment, made in the USA and cruelty-free. 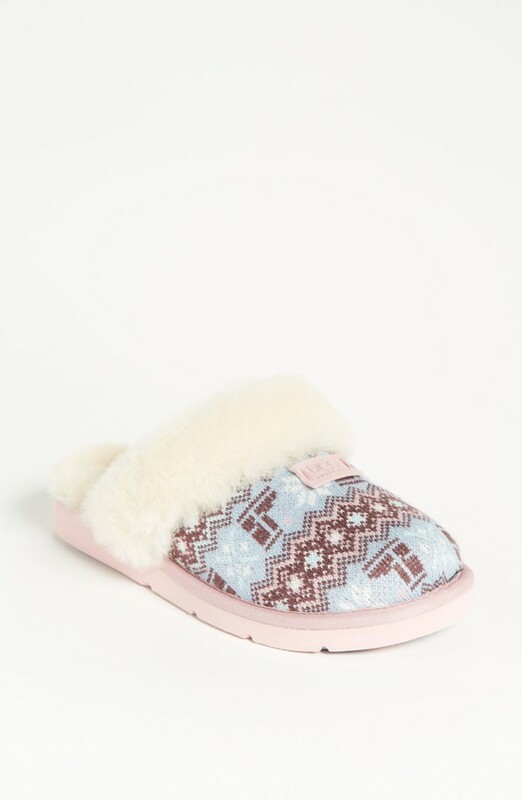 You guys, there’s something really beautiful about owning a stylish yet comfortable pair of slippers to take you from bed to early-morning showers and keep you happy while snuggled up with a laptop when working from home. OK so perhaps both of these speak specifically to my situation but still, slippers can seem like an unnecessary item but they always bring me joy. Yes, ‘Australia’ is in the name but these cozy beauties are made in America. 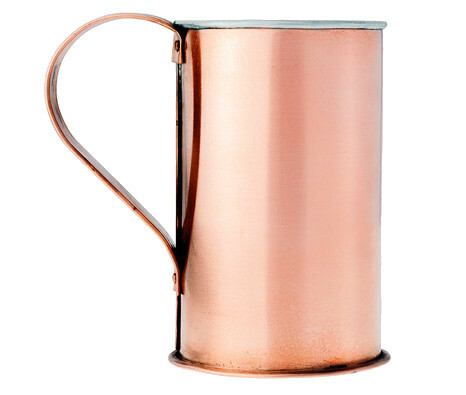 This copper cup comes with a lifetime guarantee and some serious style points. It will look good on a shelf and on the table. Pure copper takes on the temperature of whatever it touches, which means that your iced beverage will stay cold longer. A naturally occurring patina will develop over time to create a one-of-a-kind finish. Made in the USA by The Jacob Bromwell company via one of my favorite online shopping destinations, Kauffman Mercantile. This platter would be a wonderful present for those friends or family members who love to entertain. 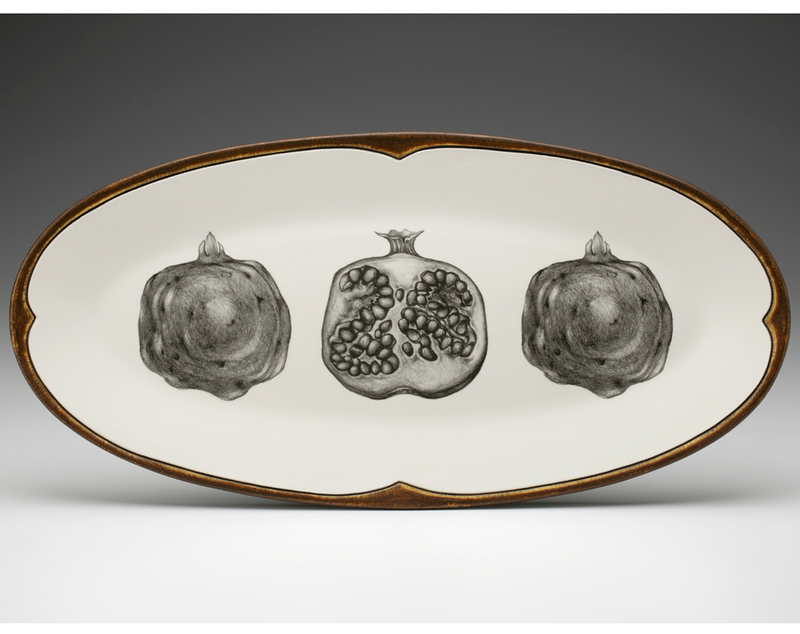 The unique pomegranate design is gorgeous as well as holding special meaning. Cultures around the globe and throughout time have believed it to represent everything from prosperity to fertility en.wikipedia.org/wiki/Pomegranate. Laura Zindel creates beautiful ceramics from her studio in Vermont. What’s on your “high end” wish list? Share in the comments!